Espasoule : Authentic espadrilles from the French Basque Country. Espadrilles are made from natural materials including jute, cotton, linen and leather. They're the perfect summer shoe. The classic espadrille makes a distinctive statement but modern techniques and innovation are adding an exciting new twist to the traditional design. Whatever your taste, you'll be able to find an espadrille that you'll be happy to wear throughout the day and into the evening. 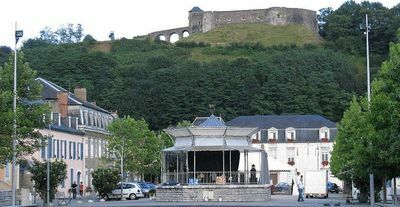 The town of Mauleon is the capital of the Soule region of the Basque country in France. For 150 years it has had a tradition of producing the highest quality espadrilles and the standards necessary to obtain the quality mark ‘l’espadrille de Mauleon’ are rigorously maintained. The Megam family business is proud to be heir to this tradition and each generation of the family has achieved this seal of quality for their shoes. 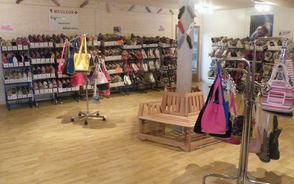 If you get a chance, please visit our factory and shop in Mauleon where you will find the classic espadrille alongside ultra-fashionable designs and our range of bags; all available in the full range of materials, colours and sizes.